If you are looking to add a bit of the country to your home whilst maximising the safety of you and your loved ones, then our range of exceptional uPVC stable doors are perfect for you. With each one transforming the look of any type of home, it is guaranteed to add value to your property. We work with market-leaders to provide you with high-quality products, at affordable prices. 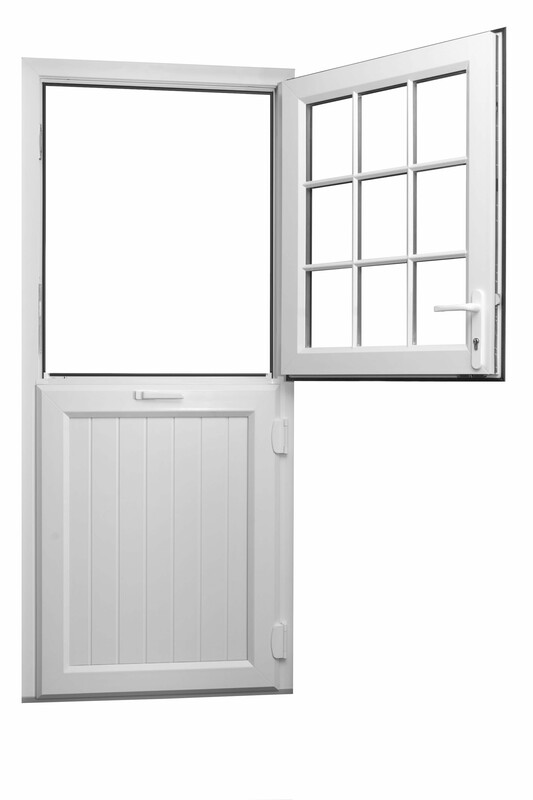 Why Invest in Our uPVC Stable Doors? We understand the importance of keeping little children inside when the doors are open, which is why our range of uPVC stable doors come with a highly secure lock system as standard. This makes it virtually impossible for unwanted visitors to enter your home without your permission. Our variety of high-quality uPVC stable doors draws on the aesthetics of a traditional stable door to provide you with a modern alternative. Made from the only the best material, the doors are manufactured to be low-maintenance, guaranteeing not to rot, warp or discolour. With a multi-functional design, the uPVC stable door provides added ventilation to keep your home cool. You have the option of opening the top sash independently to the bottom, giving you control over the airflow, as well as added security for your peace of mind. Available in a range of colours and finishes, each door is made to your exact measurements to ensure it fits your home perfectly. Installed seamlessly, the thermal efficiency of the door helps to reduce your energy bills by trapping heat inside, gently warming your home. Each door is manufactured with your home in mind. Capturing the aesthetics of traditional timber stable doors, the uPVC stable door enhances the features of your home without costing a fortune. Guaranteed to suit any property, this is sure to be an affordable investment. Discover more about our exceptional range of uPVC stable doors by giving us a call today. A member of staff from our team of experts will be on hand to guide you through the process, ensuring you pick the right one for your home. With their aesthetically pleasing design and intelligent craftsmanship, the uPVC stable door is promised to fit into any home, regardless of the size. Each one is made from the highest quality material, ensuring you are provided with the best product. Our team of highly skilled experts have been working in the industry for a number of years, which means you can rely on the trustworthy service we provide. Each staff member will be on hand to answer any questions you might have, so you can make an informed decision. To hear more about the range of uPVC stable doors we have on offer, contact us today. We will be glad to guide you through the process. You can call us on 01252623404, or use the online quote generator to get a quote in minutes. 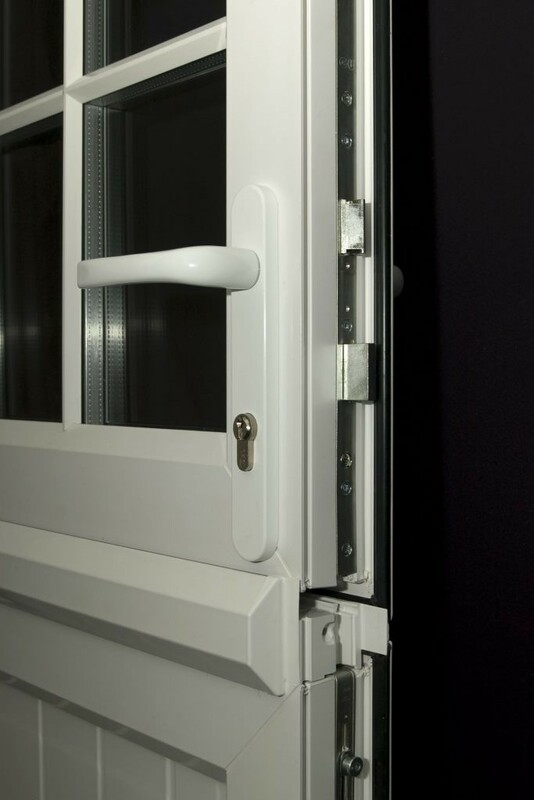 How Will Our uPVC Stable Doors Benefit Your Home? We understand the importance of keeping unwanted elements outside of your home. This is why the uPVC stable door is perfect for increasing the security of your home, whilst providing a variety of benefits. You shouldn’t have to compromise on the safety and security of your home. Made from the highest-quality material, properties found in the uPVC stable door ensure it is excellent at insulating your home, keeping it warm in the winter months and cool in the summer. With no cold spots and draughts, your home will be a comfortable space, all year round. If privacy is your main concern, the uPVC stable door is perfect for keeping those prying eyes away. Available in a range of glass options and finishes, the stable doors provide your home with maximised privacy, without compromising on the natural light. uPVC stable doors are an excellent choice for those looking to enhance their thermal efficiency. With the double-glazed window panels, heat is locked inside, ensuring you won’t have to turn the thermostat up. Each door is made to measure and fitted expertly so there will be no cold draughts coming past your new door. We understand that the safety and security of your home is of the utmost importance to you. This is why each door is fitted with a highly secure lock system as standard, to give you further peace of mind. Make sure unwanted guests and potential intruders stay outside. We know that everyone’s home is different on the inside, which is why we offer a range of customisation options for you to choose from. Ensuring your uPVC stable door fits in with your home is now even easier than before. You can choose from a range of colours and glass options to best suit your home. At Hart Windows, we want to provide you with the best products on the market, without breaking the bank. This is why we are proud to inform you that we have chosen Liniar to be one of our trusted uPVC stable door suppliers. Liniar are market-leaders in the industry, which guarantees they can provide customers with the best service and products, at an affordable price. The uPVC stable doors they provide have gone through a host of quality checks to ensure it is energy efficient, weatherproof, low-maintenance and highly durable. To ensure our customers are getting the best products and services on offer, we also provide our customers with uPVC stable doors manufactured by REHAU. Their attention to detail and high-quality finish ensure the products they supply are perfect for any type of home. All uPVC stable doors manufactured by REHAU come with a highly secure lock system in place as standard, guaranteeing the safety of your friends and family isn’t compromised. Made from material that is highly durable, each door is long lasting, which replacing them won’t happen often. Each door is fully customisable to enhance the features of your home. Hart Windows supply and fit stable doors to homeowners throughout Fleet, Farnborough, Aldershot, Woking, Farnham and surrounding Hampshire areas. Contact the Hart Windows team for competitive uPVC Stable doors prices or use our free quoting tool to generate guideline costs online. Our friendly team will be able to answer any questions you may have.